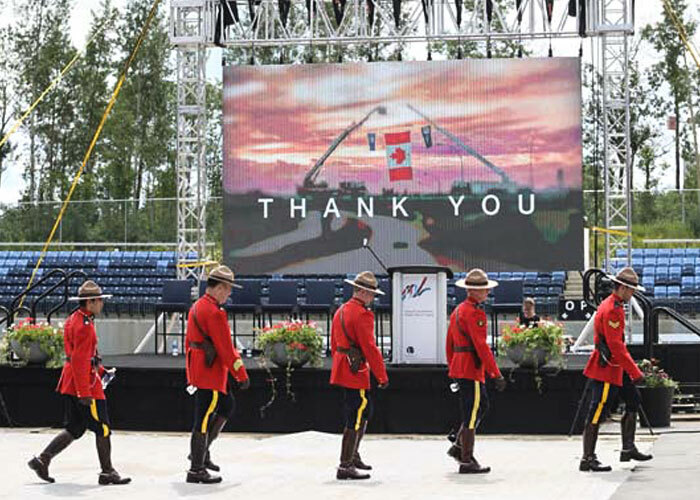 On May 3, 2016, Fort McMurray and the Regional Municipality of Wood Buffalo (RMWB) were changed forever by the Horse River wildfire. Since the fire, residents, organizations, the oil sands industry and local elected officials have been working together to enable community recovery. OSCA acknowledges the leadership of the RMWB staff, mayor and council members as well as the Wood Buffalo Recovery Task Force and Committee. The combined emergency response resources of the provincial government, the RMWB and industry were necessary to ensure the safe evacuation of more than 80,000 residents and workers as well as protect property and infrastructure. As the primary employer in the region with significant large-scale assets spread throughout the area, industry played a pivotal role in supporting the community and protecting critical operations through the provision of firefighting, evacuation and logistics, accommodations and supplies. While we acknowledge the successes in addressing the Horse River Fire, it is also important to step back and identify what lessons were learned and opportunities for improvement. The Industry Recovery Working Group (IRWG) and OSCA released the Horse River Wildfire Lessons Learned Report on June 15, 2017. Prepared by Accenture Consulting in Calgary, the report shares industry’s perspective on the emergency response to the Horse River Wildfire. It is based on information collected through stakeholder interactions, feedback and perspectives from select industry members. The report focuses on industry actions and learnings from the emergency response that occurred between May 1 and June 1, 2016. The RMWB should develop a comprehensive regional response plan in collaboration with key stakeholders in the region, including industry which is a critical community partner, employer and investor in the region. Once developed, this plan should be reviewed and exercised collectively on an annual basis. A world-class model of collaboration across government, industry, and community can be built from the relationships developed during the response to strengthen the pace and quality of community recovery and preparedness planning. The IRWG and OSCA will continue to share the contents of the report with all levels of government, oil sands producers, pipeline and service firms, as well as local stakeholders. Through this dialogue we will seek to improve future emergency preparedness through better policies, processes, and technology, as well as mitigation measures.